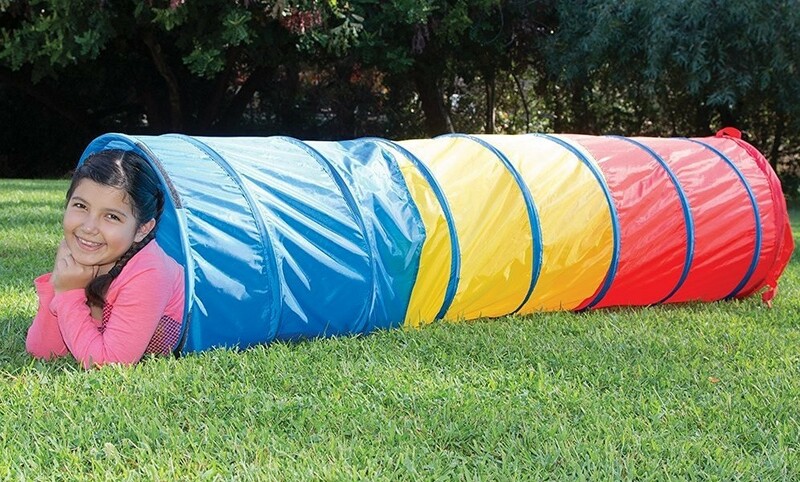 Color their world with fun! 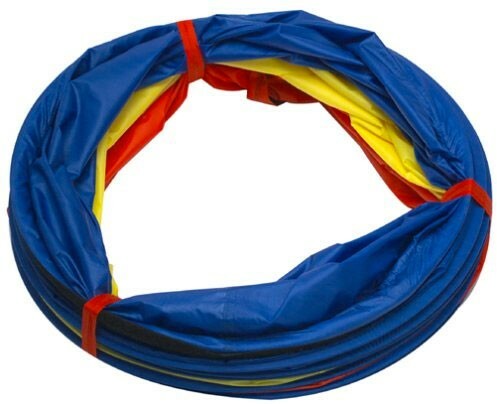 This durable red, blue and yellow play tunnel from Pacific Play Tents works indoors or outdoors to provide kids with active, healthy play. 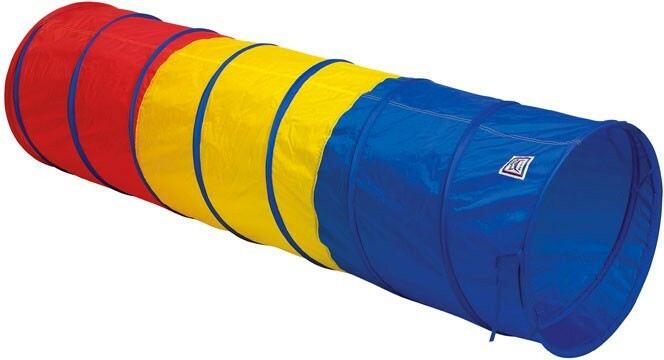 The tunnel is made of flame-retardant 70-denier nylon with a sturdy steel spring frame, and collapses flat for easy storage and portability. 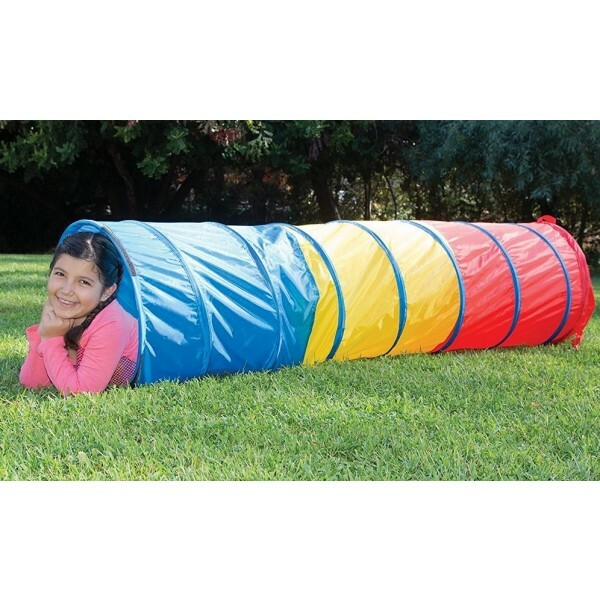 This tunnel is six feet long and 19 inches wide, with padding over the interior wire to make crawling easy on hands and knees.